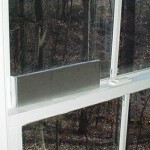 PRODUCT DESCRIPTION: Light metal trap which is used in windows where ladybugs tend to accumulate. The trap measures 10.5 inches wide, 1 inch deep and 3 inches tall. It has the following parts: Part A: Window Trap Body which houses the Glue Pad. Part B: Double stick pad which mounts to Trap "A" and window. Part C: Double sided glue pad which rests inside Window Trap "A" and does the "catching". Part D: Two pack of Ladybug Pheromones. The Pheromone needs to be replaced about every 1-2 months and will be effective even though it is placed below the glue. Try not to handle it when placing it in the Window Trap as human oils and contaminants will take away from it's overall effectiveness and lasting ability. WHERE TO USE IT: Windows. RATE OF APPLICATION: Try to place at least one trap in the lower or upper corner of any window which tends to have ladybug activity. This is usually a window facing the south, west or east. 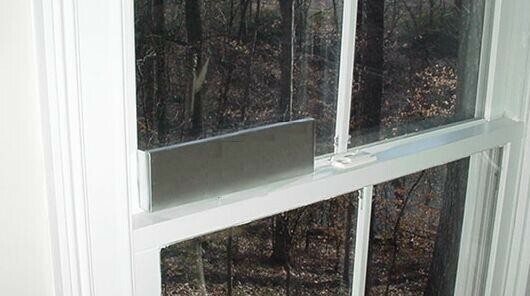 In any one room, you might find all windows need a trap and in other parts of the home you might not need any. The more traps out the better the impact. Be sure to replace gluepads as they fill which could happen weekly. Pheromones can last 1-2 months and should be used for this time period even if you are changing out glue pads.